Hebridean Seaweed Company Limited is the largest industrial seaweed processor in Great Britain. The company manufactures seaweed products for use in the animal feed supplement, soil enhancement, alginate and nutraceutical sectors. The company was set up in 2006 by Martin Macleod and Malcolm Macrae and the production facility is situated at Arnish Point near Stornoway on the Isle of Lewis in the Outer Hebrides of Scotland. 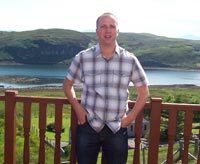 Martin Macleod is from the village of Leurbost on the Isle of Lewis and is the Managing Director of Hebridean Seaweed Company. 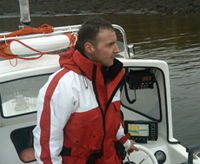 Before the set up of the company Martin was previously employed in the seaweed processing industry and he has over 14 years of experience of working in this field. Malcolm Macrae is also from the village of Leurbost on the Isle of Lewis and is a Director of Hebridean Seaweed Company. Previous to this Malcolm studied at University in Glasgow where he obtained a degree in Marine Biology and a Masters in Chemistry. Following this Malcolm worked in the Pharmaceutical Industry for 11 years before joining Scottish Water, Scientific Services.